Wincanton Health Centre is holding its second public meeting on Friday 10th March 2017. The meeting will be held in the Wincanton Memorial Hall between 6:30pm and 8pm. Wincanton’s family doctors and practice staff are inviting the people of Wincanton to come along to a Health and Wellbeing Fair this weekend to discover the simple ways they can improve the wellbeing of themselves and their families. Thin-canton, a free weight loss group, will be running for the second time at Wincanton Health Centre starting on Thursday 19th May for eight weeks. If you would like to join, please come along – we look forward to seeing you! Wincanton Health Centre Patient Participation Group (PPG) in association with Health Centre staff have organised a Health Promotion Evening at the Balsam Centre from 7.00-9.00pm on Wednesday 9th March. All welcome! Wincanton Health Centre is offering patients the chance to ask questions about its services at a Public Meeting on Wednesday 16th September, 6:30pm, at Wincanton Memorial Hall. Following concerns over the quality of local health services, representatives of Wincanton Health Centre will be present for 30 minutes prior to the start of the next Wincanton Town Council meeting, on Monday 22nd June, to discuss these concerns with Councillors. A new Minor Injury service is being provided by Wincanton Health Centre, replacing the service at Wincanton Community Hospital. The centre will have slightly longer opening hours and will benefit from additional back-up from the practice's family doctors when necessary. 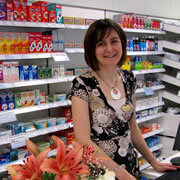 Wincanton's new Health Centre Pharmacy is now open and providing patients with a one-stop service. 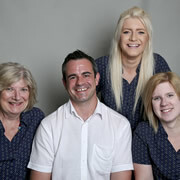 Have a look inside and meet some of the staff. No Pharmacy at New Barns! Did you know that there will not be a dispensing pharmacy at New Barns Surgery? All the staff of Wincanton's current Health Centre together with the mayor, councillors and a collection of well wishers braved a chilly afternoon to see the symbolic first turf cut for what will be Wincanton's new Health Centre on the New Barn Estate. DOCTORS hoping to take on the new Wincanton health centre have suffered a setback after an on-site pharmacy proposed at the development failed to win support. Wincanton Town Council voted eight to one against plans to build a pharmacy at New Barns Farm, north of Wincanton Business Park in West Hill. 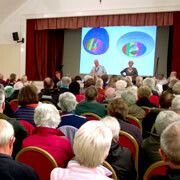 Wincanton Health Centre Practice Manager passes on the latest news and reaction of the doctors and staff concerning the planning application for a new Health Centre at New Barns. As crunch time approaches, Practice Manager Janet Loe and Architect Neil Niblett explain the plans and consult over the Health Centre Plans in the Sun Lounge. The Wincanton Health Centre has been caring for the town and surrounding villages for over 30 years and I have been asked to help people know what we are doing. The plans for a new Health Centre to be situated away from the town centre (on the New Barns development off West Hill) have raised concern and a lot of interest, so the practice has arranged a public meeting in the Memorial Hall. Here are the plans, a map and a press release on the proposed new Health Centre for Wincanton on the New Barns development area. Concerned readers are invited to send in letters to the editor on this subject asap. Please provide name and phone number and state if you would prefer to remain anonymous. Clearly the proposal to build a new Health Centre on the New Barns development area away from the centre of the town is highly controversial. A report on the public meeting held on Friday 12th March at 6.30 p.m. at the Memorial Hall to discuss the proposed new site for the Medical Centre, including questions from the public and the answers provided. Janet Loe, Practice Manager of the Wincanton Health Centre, explains where we are now and the importance of the plans put forward, for those who were unable to attend the public meeting about the new Health Centre.